Computer and printer maker HP exceeded Wall Street's expectations on revenue and profits when it announced its first quarter results for this year yesterday. 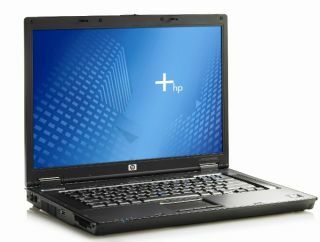 HP's PC market share rose at the end of last year, when it passed Dell as the world's largest PC maker. Dell still trails by a significant margin. HP made a profit of $1.55 billion (£794 million) during the quarter to 31 January. A year ago, the company made $1.23 billion (£630 million) during the same period. Less charges and tax, that means HP's profit was $1.8 billion (£922 million) or 65 cents per share. Wall Street analysts predicted the company would make 62 cents per share, according to Thomson Financial . The largest growth was in HP's computer division, which increased by 17 per cent to $8.7 billion (£4.5 billion). Notebook sales were up by 40 per cent compared to last year, and consumer sales increased 28 per cent. The software group increased 81 per cent to $550 million (£282 million). HP may now be looking towards having the same impact on the software market, eyeing up software, services and server giant IBM . It already matches IBM in sales but lags behind on profitability and market value. Mark Hurd, HP's CEO, said the company had presented "another solid set of results", but that it is looking to control costs by cutting down $500 million (£256 million) following a change in the company pension plan. Three thousand long-standing HP employees are expected to take early retirement in May. HP said it expects to make between 57 cents and 58 cents on revenues of around $24.5 billion (£12.5 billion) in the second quarter. For the 2007 fiscal year, HP expects to record revenue of $98 billion to $99 billion (£50.2 billion to £50.7 billion).